It's truly a shame how hundreds of obscurities were buried and lost during the clamorous days of early power/heavy metal (1983-1988) simply because they didn't have sufficient outings to burgeon into bigger, more commercially successful groups. For the collector of rarities, however, scrutinizing this particular era in search as such exemplary specimens like the one I have at my hand, must be a wonderful prospect; and, given the time and effort I've spent to randomly exhume this EP among a heap of other, less interesting gems, it truly is. 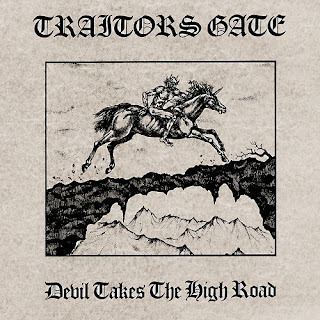 The name Traitors Gate will probably be a novelty for many readers who are reading this review, and admittedly, they were not known to me until a couple of weeks. The band's discography is painfully short: two demos followed by their sole EP and final release, ''The Devil Takes The High Road'', but I need not say that their finest offering is magnificent, good enough to top most of its primordial contemporaries. Traitors Gate toys with that flamboyantly oblique niche in between classic NWOBHM and sturdy USPM ambition that makes for the tool of old school escapism. Granted, the riffs are nothing superior or utterly convincing in their delivery, but the overall ambiance and aesthetic preferences weave a sort of resplendent aura, and the production is quite clear too, if not perfect. For such a short EP, the three tracks presented showed an outstanding amount of variation, constantly channeling between vibrant melody lines that plod on somewhat mournful ground, bouncing off the edges of contours of the rhythms, which sway fluidly but with a crispy speed metal attachment. As you may expect, the riff-work is composed simply, but shift in accordance with the song structures with such fluent finesse that you don't give as much as a damn about the sheer simplicity of the patterns. Hugh Jones' vocals are high-pitched at all times and resonate with a wondrously balanced level of reverb - he has the potential to shriek his lungs out with a banshee-induced inflection, but he prefers to put less emphasis on harsh vocal deliveries and focuses on a much more NWOBHM-oriented timbre. Still, this doesn't hinder the quality of the EP, as his somewhat romantic vocal embrace has a terrific tinge to the ear on the chorus of ''Love After Midnight'', which sounds a lot like ''Wasting Love'' by Iron Maiden. the time is fast approaching. You say you're flying high. he calls the passers by. faster, higher than any star. ''Shoot To Kill'', as the name suggests, dives into a more aggressive territory, with sumptuously crunchy guitar tones and classic NWOBHM chugs, swerving with simple but immaculate authenticity. 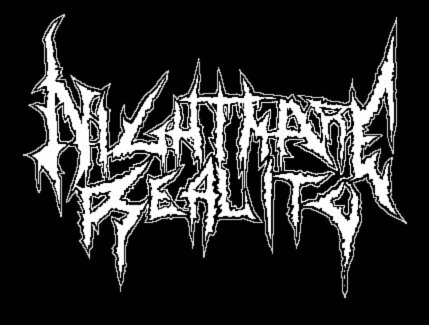 Among all the NWOBHM/USPM obscurities I've discovered over the past few weeks, who would have know that this, perhaps the obscurest one of them all, would have appealed to me the most? ''The Devil Takes The High Road'' is no novelty for connoisseurs of NWOBHM or USPM, but it's certainly one worth a collector's time - my only gripe was that the brevity of the EP (some 10 minutes) forced me to listen to it intermittently until I had fully satisfied myself. Otherwise, from the hellish creature riding on horseback, to the catchy lyrics, this is a jumpy, even elegant discourse in NWOBHM and USPM 101 which you shouldn't miss out on.